“Back to School”: The three words that usually make kids groan and mothers cheer. As soon as I got her supplies list, I rushed to buy her first backpack and composition notebooks and jumbo pencils that same night! 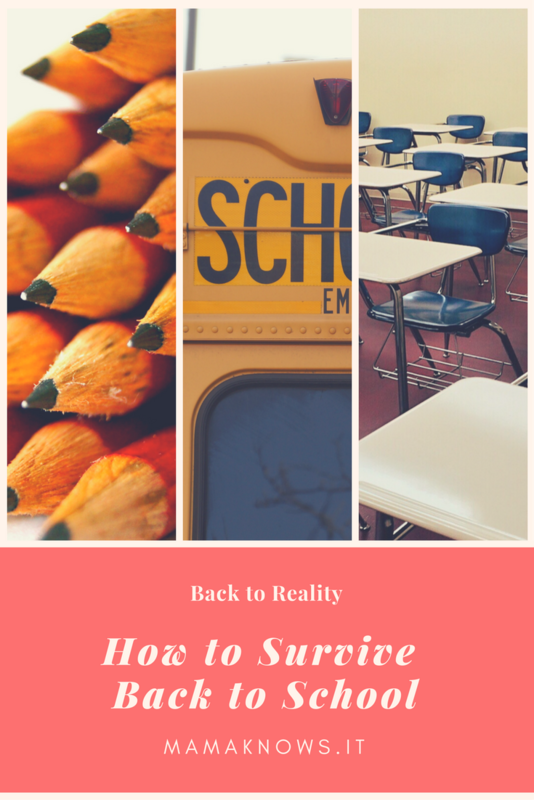 So, now I’m set with supplies, but what else do I need to know about surviving Back to School? 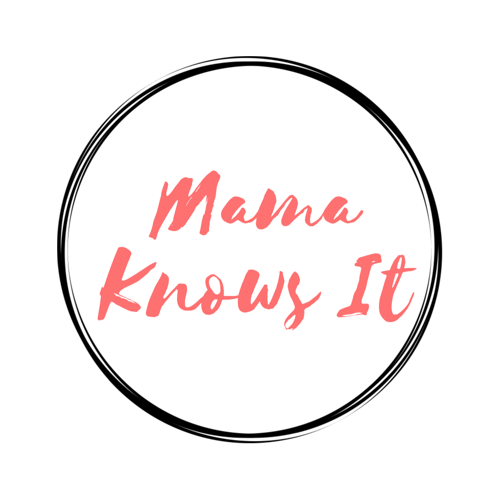 Thankfully, I have this network of mamas who have some great tips on how to survive Back to School. Enjoy, and good luck over the next few weeks! I love Back to School time. New supplies, fresh haircuts, shirts with no stains on them (yet). The promise of a predictable routine hangs over the calendar in a way that makes me relax—even if the routine keeps us pretty busy. My kids are already wary of climbing back on the bus this year; I think because the summer has been so fun. Also, we have a loose “no screens on school days” rule, and that is causing them to want the first day of school to stay far, far away. And honestly, I really feel like my excitement about getting to work on time for the first time since May has to rub off on them eventually. Right?! We are preparing for our first round as our daughter starts kindergarten this year. Preschool was a bit different as we did not have to worry about many supplies and all food was already included. So once the kindergarten supply list came in the mail I did not hesitate to purchase, as many of the items were very specific! Luckily most stores group all supplies together at this time of year so you are not wandering around for hours. Now that I can check the supplies off my list, I am ready to put a game plan in place. Here is my basic plan, and I'm sure there will be adjustments. I'll assign myself some of the tasks and Dad will take some as well. I'm also expecting everyone to be a bit cranky and tired the first week or 2, so there will be minimal or no after work events until we establish routine. After school: Go through backpack and do homework. Provide a yummy snack and beverage. After dinner: Pack lunches for the next day while I'm in the kitchen and finishing the dishes. Before bath time: Set clothes out for the next day. I'll let my daughter pick out out her outfit with some guidance, and I'll pick mine out while we're at it. Bedtime and wake time: 1/2 hour earlier bedtime and 1/2 hour earlier to rise. I'm going to try this out to keep the chaos in check. Cross you fingers, and don't forget to breathe! As we approach our second Back to School time, our kiddos don’t seem as jazzed as they were a year ago. My guess is that at their ripe old age of 7 they’ve realized that heading back to school means less unstructured time and fewer snacks. Let’s face it: When they’re home for the summer our schedule goes right out the window and “snack time” is pretty much whenever they get a glimpse of a bag of Goldfish crackers. One tradition that does raise their excitement meter that we started last year was to let them pick out new “night before the first day of school” jammies (thank goodness for Gymboree and their end-of-summer steals on pajamas!). Also, instead of “school shopping” for an entire new Kardashian-sized wardrobe for the year, we stick to letting each kid pick out one new outfit for the first day and a new pair of school shoes. We used to loosely let the kids have a say in what they’d pick out, but this year we were all in and let them choose solo. So, cheers to my kid wearing a t-shirt emblazoned with a sunny side egg and bacon smiley face. The brightside? At least they don’t take yearbook pics on the first day. Seems like yesterday I was singing, “School’s Out for Summer,” while waiting in the drop-off line. It’s like we blink and summer is just memories. All of a sudden we are thinking about school and all we have to do to get ready. Here are some tips to help you prepare, while still getting in the last bits of summer fun! Weekly, I go through ads to see if the .01 cent notebooks or .25 cent crayons are available yet. School supplies can get pricey if you do a one-stop shop. I have saved their lists from last year by snapping a quick pic on my phone so they are readily available whenever I’m out. Also, over buy! Kids run out of certain supplies (*cough*...glue sticks) and it is nice to have them on hand instead of making another trip to the store later in the year and when they aren’t on sale. I over bought last year and was able to get some Target clearance school supplies after last season to use for this year, too. This made my list a lot shorter, and my littlest one and I had fun pulling off those .30 cent stickers. It’s the little things, people. Stock up on lunch packing items, so that those first few weeks go a bit smoother. I’m a big Annie’s fan, and if you sign-up for their email list, they always send “Rockin’ the Lunchbox” coupons. Usually, lunch items are on sale right now, and with extra coupon savings it gives you a chance to stock up. Also, head to coupons.com to save on your favorite lunchbox snacks. Adjust summer bedtimes. This is probably the hardest for our house because I secretly just don’t want summer to end. If they are having fun, I just want it to keep on keepin’ on. But alas, mama mode kicks in and I have to crack down. It really is necessary and it’s nice to have them rested and ready for the first day of school. We try and make the most out of summer, and going on a day trip or weekend getaway is a fun way to get the most out of those last couple weeks. Some of our favorites: a hike through a local park and ice cream, museum, zoo, set up your tent in the backyard, or head to a local bike trail and then ice cream...you get the idea. Ice cream = success! And my personal favorite, Back to School Outdoor Movie night! We have had an outdoor movie for the last few years, but last year summer got away from us and I was down to the wire to get it in before the kids went back and the weather was still nice. Turns out, it was the perfect way to finish up summer with all of my kids’ friends and their families. My brother is pretty techy, so getting a screen, projector, and speakers was pretty easy for me, but I know you can hire someone to come and put your movie on for you, or you can invest in a small projector and throw that baby up on a sheet or the side of the house. Amazon has some for under $100 (just make sure to check the reviews!). Next, we have a popcorn machine and a mini concession stand with candy choices, drinks, snacks, and glow necklaces. Also, we build a fire for those that want to keep warm and hang out or make s'mores and hot dogs! Added touches: bring out blankets, hang Christmas lights or a sign with the featured movie, have guests bring chairs and maybe a drink to share. After the movie starts, walk around with extra popcorn and snacks, so the kids can stay put and enjoy the show! Last, don’t forget to throw that adjusted bedtime thing out the window for the night!